Techniques for artificial upwelling involve giant sea pumps powered by offshore wind farms, wave power, or plastic floating tubes that reach hundreds of meters deep. Initial experiments with the wave-powered pumps have been performed off the coast of Hawai’i by researchers at Oregon State University and University of Hawai’i (as part of the Center for Microbial Oceanography), and in China through Zhejiang University. 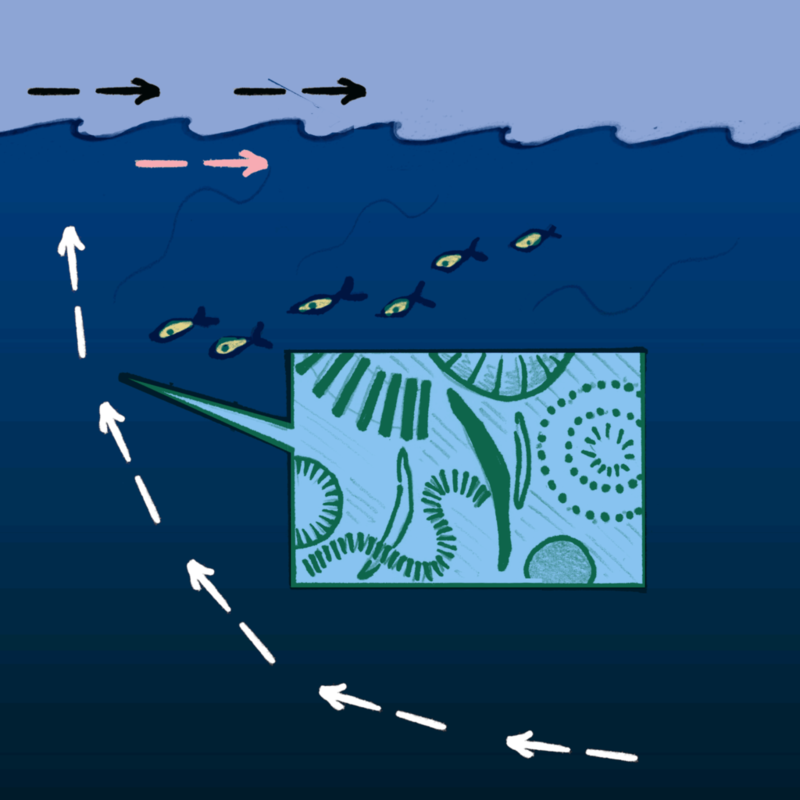 Natural upwelling occurs when wind pushes warmer water, causing nutrient-rich cold water to rise up from the depths, which stimulates plankton growth. Artificial upwelling would use a system of giant pipes — potentially millions of them – to accelerate the process. An international team of scientists in Kiel, Germany, modeled the effects of artificial upwelling on a global scale, and determined that the method wasn’t feasible. They concluded that its benefit would be limited, with little evidence to suggest that it would sequester significant amounts of carbon, and the side effects could be severe. For example, the low temperature of water pumped to the surface was predicted to cool the atmosphere and subsequently to slow decomposition of organic material in soils on land, an effect that could be felt far away from areas where pumps or pipes are used. It was also predicted that whenever the pumps stop, atmospheric CO2 concentrations and surface temperatures would increase rapidly to even higher than before the pumps were used. This would happen because upwelling cools surface temperatures, leading to more heat being absorbed by the oceans while artificial upwelling is taking place. This heat would then be quickly re-released into the atmosphere once the pumps were switched off.10 In practice, this means that once the pumps were switched on, they could never be turned off. 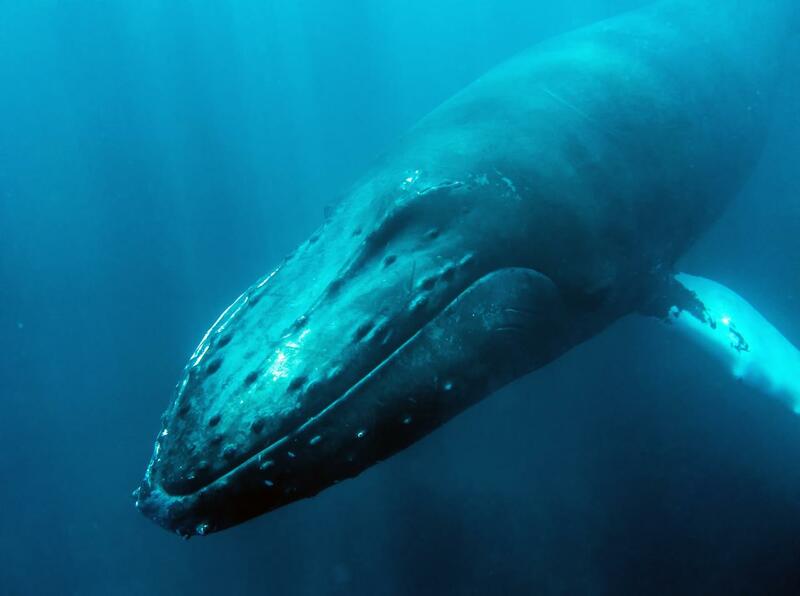 Protect marine life, don’t fill the sea with plastic pipes! Numerous outdoor experiments in the deep ocean, lakes and fjords have taken place, on varying scales, and linked as often to increasing the productivity of fish and sea food farming as CO2 sequestration. There are no current plans for larger or more extensive field experiments or deployment. 1. See Geoengineering Monitor, “Ocean Fertilization,” Technology Fact Sheet, March 2018. 6. IMO, Scientific Group of the London Convention, 40th meeting, Scientific Group of the London Protocol, 11th meeting, March 2017, LC/SG 40/INF.25. 7. Pan YiWen et. al., “Research Progress in artificial upwelling and its potential environmental effects,” Science China, Earth Sciences, Vol. 59, 2016. 11. Aleksander Handå et. al., “Artificial upwelling to stimulate growth of non-toxic algae in a habitat for mussel farming” Aquatic Research, Vol. 45, Issue 11, 2013.